Today Ethan and dad caught a variety of fun fish and. 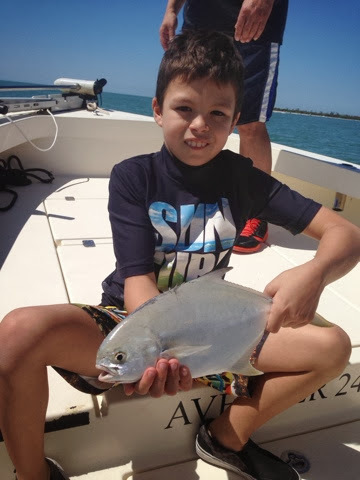 2 of these pompano. Lady fish , Spanish mackerel , and jacks provided plenty of action . Dolphins were visiting as we fished , with one coming up to the boat to check ud out. Never too early or late to call for your fishing or shelling trip.